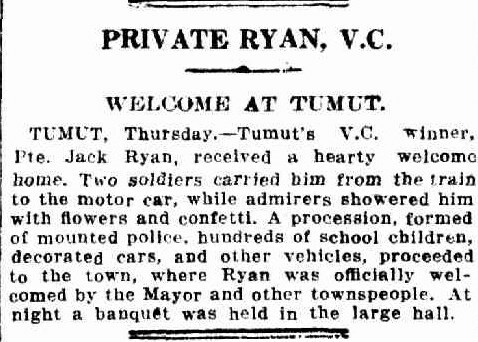 In September this year, a statue of Jack Ryan VC will be unveiled in Tumut. Jack Ryan was awarded a Victoria Cross for his actions on the Hindenburg Line in September 1918. 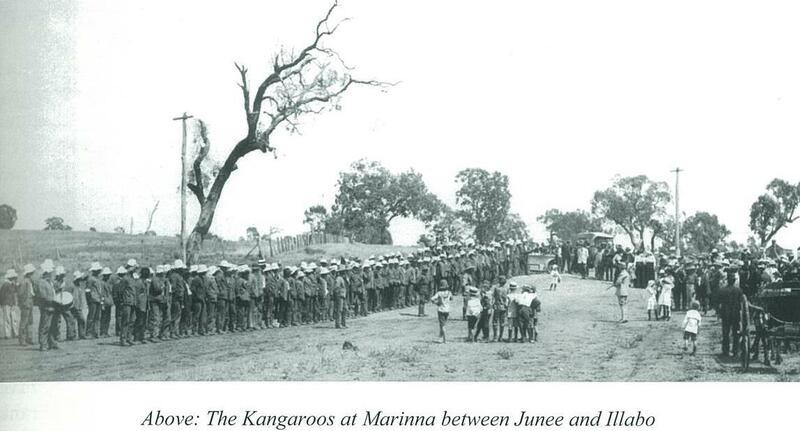 Jack Ryan organised a small group of men to counter attack the Germans, showing immense courage in a seemingly hopeless situation. 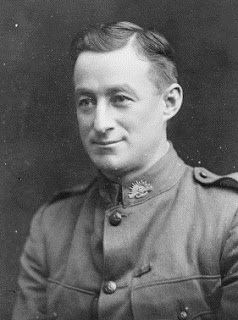 The men with Ryan were Fred McAlister, Jimmy Marshall and Harry Klein, who were awarded Military Medals for their part in the counter attack. 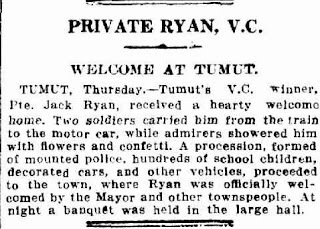 Karen Kell, a member of the Jack Ryan Statue committee, is looking for relatives of the men, who would like to attend the unveiling in September. You can contact Karen and register your interest in attending, by email: JackRyanStatue@gmail.com . Karen is also looking for stories, photographs or any other information about Jack Ryan, Fred McAlister, Jimmy Marshall and Harry Klein to help fill out the story of their bravery under fire. 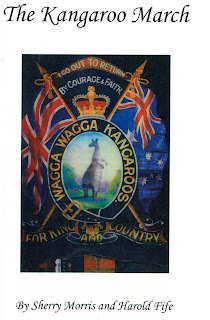 The story of how men in the country were recruited in World War One is detailed in this comprehensive study, which includes photographs, maps, popular enlistment song lyrics and images of postcards and posters of the time. The full details of Jack Ryan VC's courageous actions on the Hindenburg Line are here also. 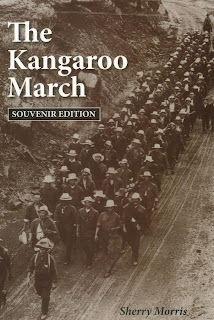 This edition is from 2006. 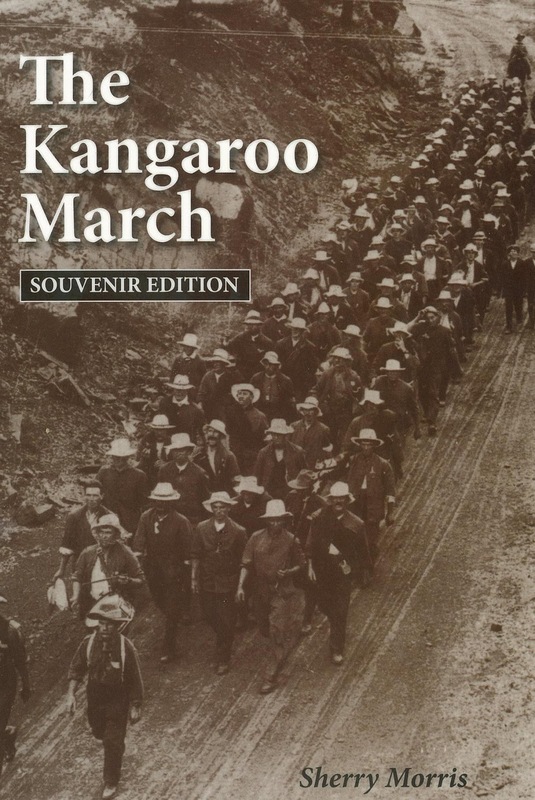 The Kangaroo March souvenir edition by Sherry Morris , 2014, is a small edition of some of the information about the Kangaroo March and to commemorate the reenactment of the Kangaroo March in 2015. Karen Kell brought my attention to this book, which she discovered during her research. 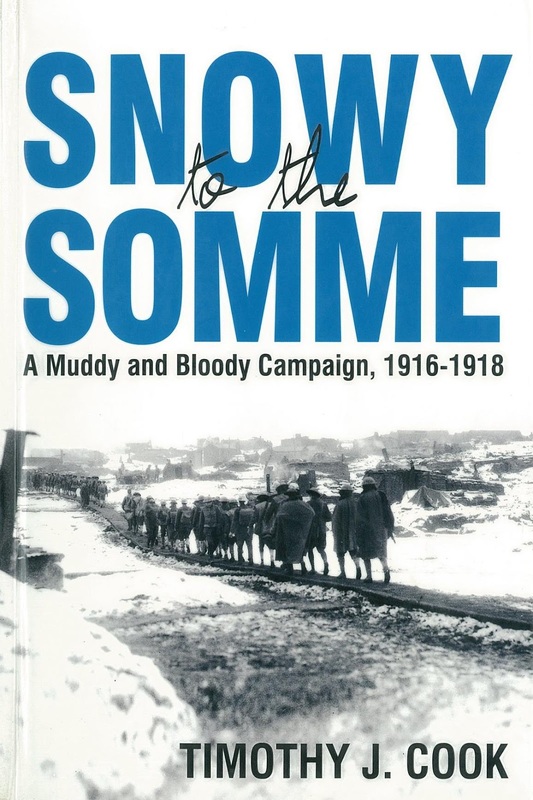 It also has the story of the events on the Hindenberg Line that earnt Jack Ryan the Victoria Cross. His companions are also mentioned therefore.This book is written from the perspective of the creation of the 55th battalion of the AIF in Egypt through the journey to the battles on the Western Front. As always, these books are available to borrow or view within the library, if you would like to do a little of your own research before the unveiling of the Jack Ryan VC statue in September.